So last month i decided that i my hair needed a cut and i wanted a change. After a lot of thinking and some help from the lovely @Its_Beauty_Guru on twitter, who also has a fab blog. 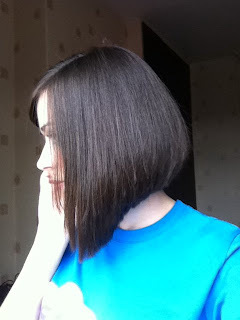 Check it out HERE and the blog post which she kindly did is HERE I decided to go for a bob! Here is a picture from the side so you can see properly. What do you think? I love it! It was a big change but a nice change.